MamaBreak: POPSUGAR Must Have Box August 2015 Spoiler & Coupon Code! 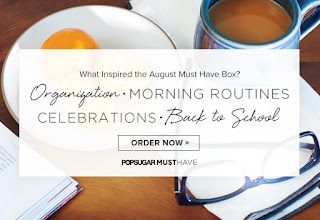 POPSUGAR Must Have Box August 2015 Spoiler & Coupon Code! 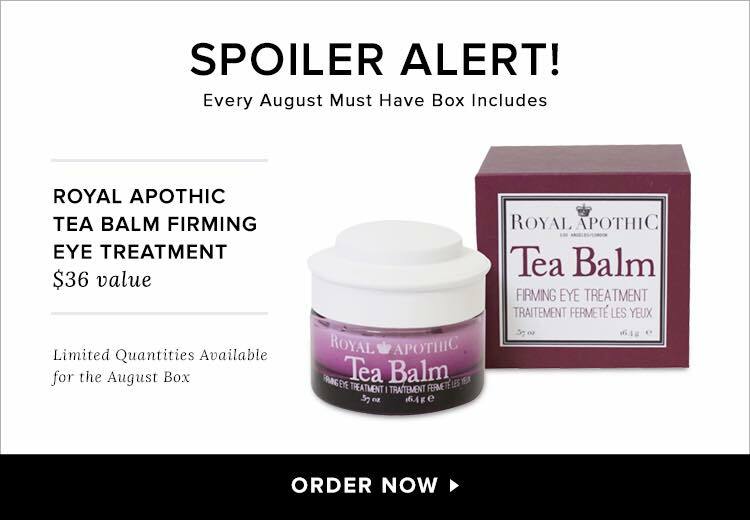 POPSUGAR Must Have Box just released the first official spoiler item for the August 2015 box!!! Take a look! Every August 2015 POPSUGAR Must Have Box will include the Royal Apothic Tea Balm Firming Eye Treatment! It is valued at $36 and it looks like the size on the jar says it's 0.57 oz. I LOVE receiving skincare items in subscription boxes, especially anything that is anti-aging! This looks like a great product and I can't wait to try it out! In case you haven't seen it yet, here is the inspiration for the August 2015 POPSUGAR Must Have Box. I think this eye cream fits perfectly with the "Morning Routines" part of the inspiration and it will help us look awake and prepared for the day ahead!